Victor is a creative director in Los Angeles who crafts engaging brand experiences. 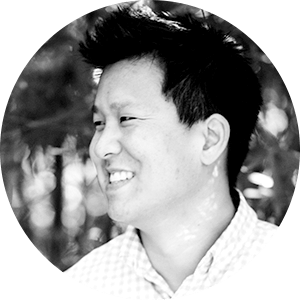 With over a decade in the agency world, Victor specializes in the digital space and has successfully worked with clients across a broad spectrum of industries. Victor is currently an Associate Creative Director at Brierley + Partners. Previously Victor was an Associate Creative Director at Rosetta where he managed the Activision / Call of Duty CRM account and also led the redesign of the NHL’s award winning mobile app. Prior to Rosetta, Victor spent time at agencies including Roundarch, OgilvyOne and Schematic. In addition to being a team leader, Victor is a skilled user-focused designer and a strong believer in cross-discipline collaboration. A southern California native, Victor braved a few winters in Chicago before returning home to the land of sunshine and taco trucks. Throughout the years that Victor and I worked together, he continually proved himself to be an outstanding Creative, and a true Pro's Pro. I could always count on Victor to come through with outstanding work - and to do it without drama, attitude, or complaint. Because of his unwavering professional demeanor and consistently strong work, he became one of those few guys that people always wanted on their teams, which is as rare as it is commendable. In his role as an Associate Creative Director, I also came to rely on him to present his work to clients, which he did effectively and effortlessly. Victor is an excellent ACD and a great guy who would be a strong addition to any team. Victor understands the bridge between user experience and creative, to the extent that he knows there is no need for a bridge. He is a fantastic designer, someone who can very quickly understand the feel of the brand, and turn it into something extraordinary.He is also a natural designer, someone who understands that constraints are part of the equation, and yet delivers the best possible work within those constrains, work that is both practical and also delights. It was a great experience working with Victor and I'm sure he will make a difference to what ever problem he's tasked to solve. If you are interested in a new project, collaboration or just want to say hello, don't be a stranger and drop me a line at victor.hwang@gmail.com or with the form below. Otherwise you can find me in various parts of the Internets.